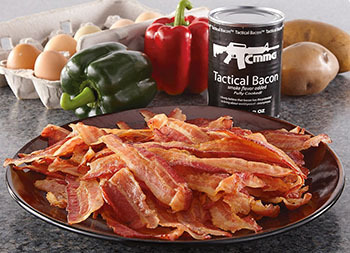 Tactical Bacon comes in a can with a gun logo. Whether you eat it in a fortified compound while you’re having a standoff with the federal government, or alone, by the light of your computer, this $45-per-pound processed meat product will probably allow you to complete your mission to do whatever you’re doing. 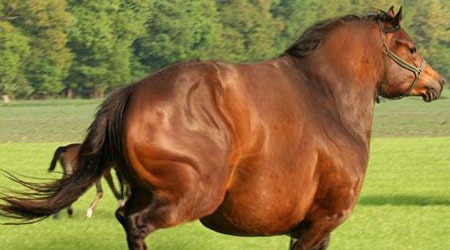 There are, theoretically, “101 Things To Do With Bacon,” but let’s be realistic. 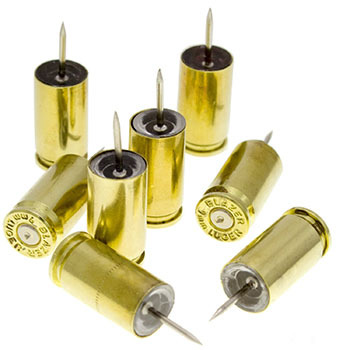 Bullet push-pins are the perfect gift for the ultraviolent person in your life who would love to shoot his cork-board but doesn’t want to pay to repair the wall behind it. They’re also perfect for sticking into a map to mark your past shooting sprees… or plan them for the future. 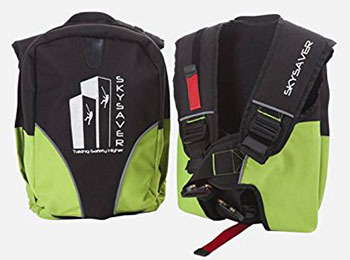 Just like the bulletproof backpacks that came out after a round of school shootings a couple years back, the SkySaver is meant to capitalize on your fear of being stuck in a burning skyscraper in a post-9/11 world. It’s an insanely expensive one-time-use cable and rappelling harness that you use, once, to escape from the window of a room that’s up to 260 feet away from the street. 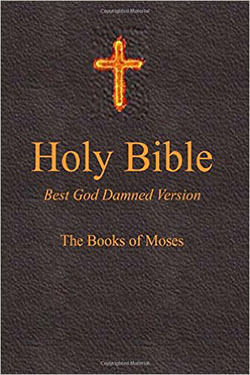 Since the only way to actually review one of these would be to blow a thousand bucks by testing it, there aren’t any reviews from people who have actually used it. And if your skyscraper catches on fire, and it fails to save your life, you won’t leave a review either. Given the statistics of skyscraper fires, and the limitations of this device, it’s likely that no one who has purchased one will actually use it as intended.